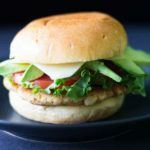 Tuna Burger Recipe • The Best Tasting Tuna Burger Ever! 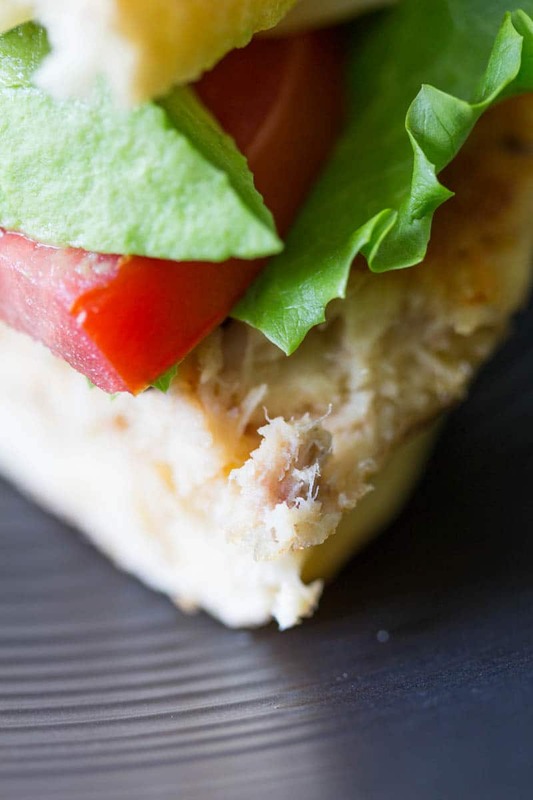 You haven’t had tuna burgers until you’ve tried this tuna burger recipe! It’s so easy and delicious that it will make you look at tuna in a whole new way. My kids love burgers. I swear that if you put something in burger form, they instantly like it. So making things into burgers is a time-honored (and effective) tradition around here. They already love my tuna cakes. Now it’s time to take tuna to the next level all over again with a delicious tuna burger recipe. It’s easy to make for a quick weeknight dinner, or any other time you feel like putting something really tasty in your mouth. You’ll want to start out by picking the right tuna. 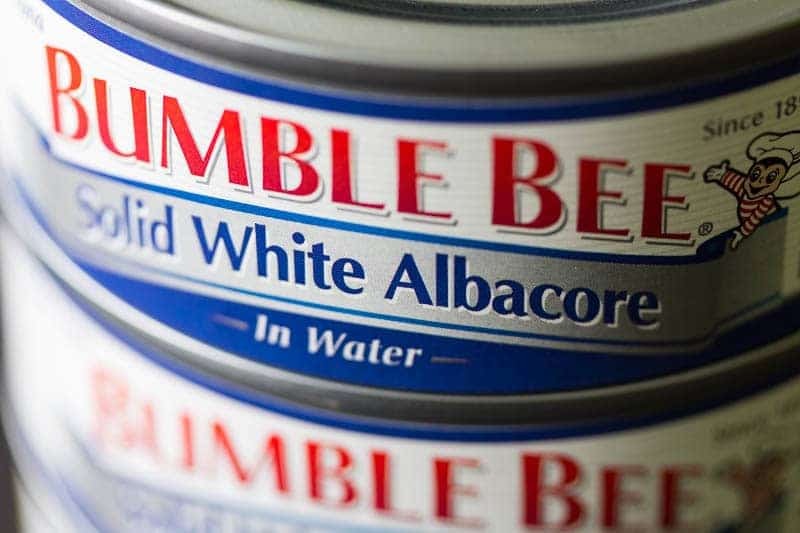 I use Bumble Bee® Solid White Albacore because of its firm texture, light color, and fresh taste. Its texture makes it much easier to use for tuna burgers than chunk light tuna. Making these tuna burgers is a snap. You only need a few ingredients to make them, and then you can dress them up on a bun any way that you like. I like to get a little fancy. It’s a good excuse to buy a some good sliced cheese, some pretty greens, and maybe a few slices of avocado and ripe tomato. Talk about good eating! Of course, you or your family might like to keep it traditional by building a tuna burger with the classic burger toppings. That’s OK, too. Pile on the lettuce, tomato, pickles, and onions! 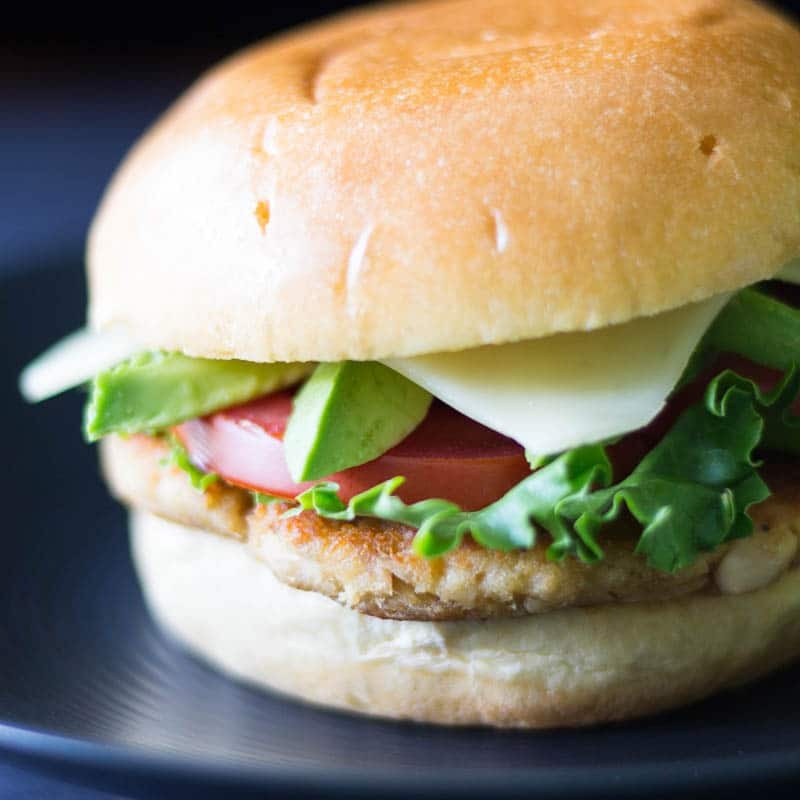 Bookmark this tuna burger recipe to keep it handy, and keep your pantry stocked with Bumble Bee® Solid White Albacore so you can whip these up at a moment’s notice. 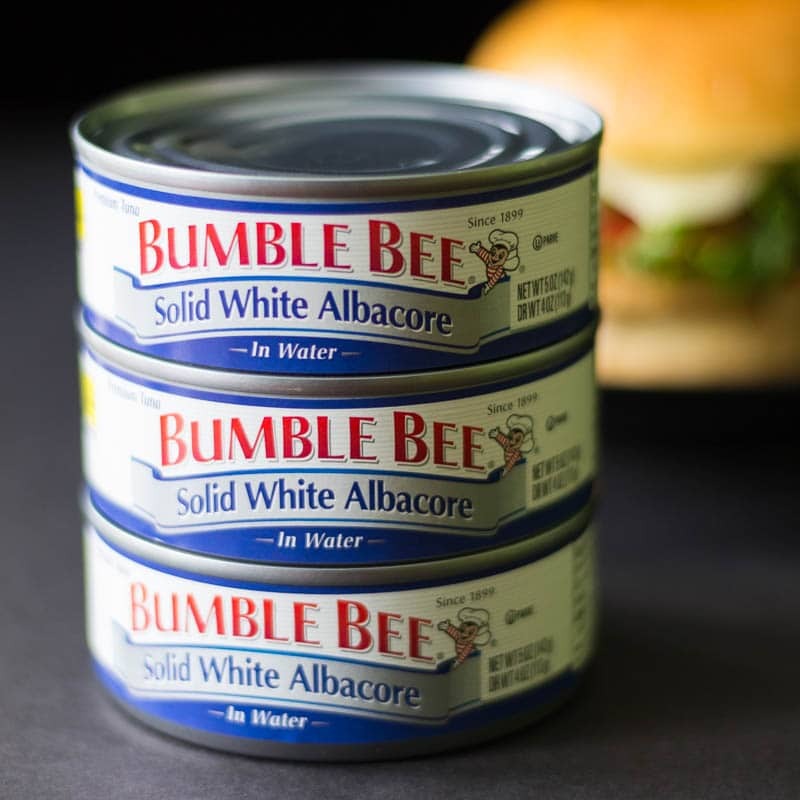 Make sure you buy Bumble Bee® Solid White Albacore. Its firmness holds a burger shape well and provides a nice texture. Running low on breadcrumbs? Pound crackers into crumbs, or crumble toast into breadcrumbs, as a substitute. If you end up with extra tuna burgers left over (unlikely, but within the realm of possibility), they reheat really well. Simply place them in the oven at 375 F until sizzling, about 5 to 8 minutes. Try remoulade sauce as a sandwich spread! It’s delicious. 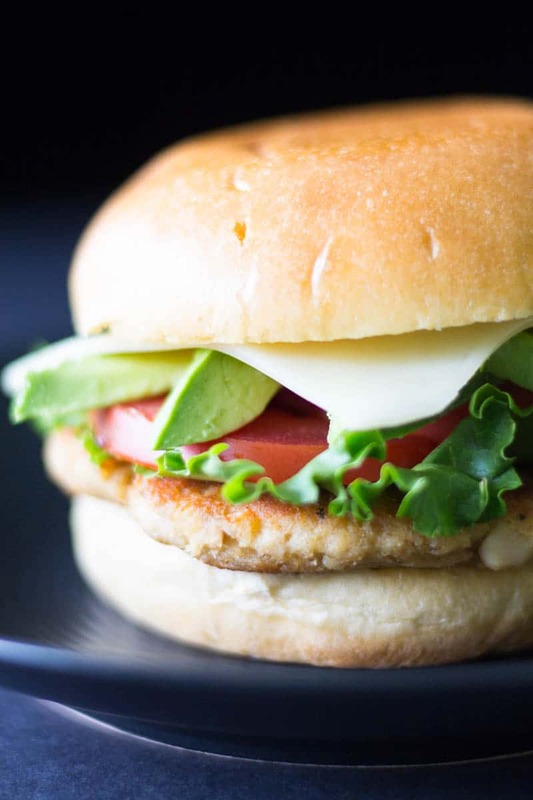 You haven't had tuna burgers until you've tried this tuna burger recipe! It's so easy and delicious that it will make you look at tuna in a whole new way. Preheat a large nonstick skillet on medium low heat while you prepare the burger mix. In a large mixing bowl, combine the breadcrumbs, paprika, onion powder, black pepper, and sugar, then mix thoroughly. Add the mayo, tuna, and beaten eggs. Stir the mixture until well combined. Drizzle the oil into the skillet and let it heat as you make the first patty. Form 1/4 of the mixture into an even patty. Slip it gently into the hot skillet. Cook about 2 to 3 minutes on each side, or until the patty is golden brown. Repeat with the rest of the mixture to make a total of 4 burgers. Learn more about Only Bumble Bee Albacore Will Do™! This tuna burger is calling my name for lunch right about now! YUMMY! Love that it has brown sugar in it…I bet that really has an amazing flavor with everything else! And Bumble Bee has always been my favorite brand of tuna…such great quality. This seems perfect. Im currently trying to eat a little healthier and this right up my allie. Thanks for sharing. 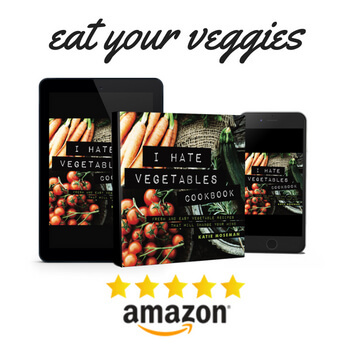 Love this recipe – so easy and healthy too! I love Bumble Bee and their flavor – it’s been something that brings me back to being younger. 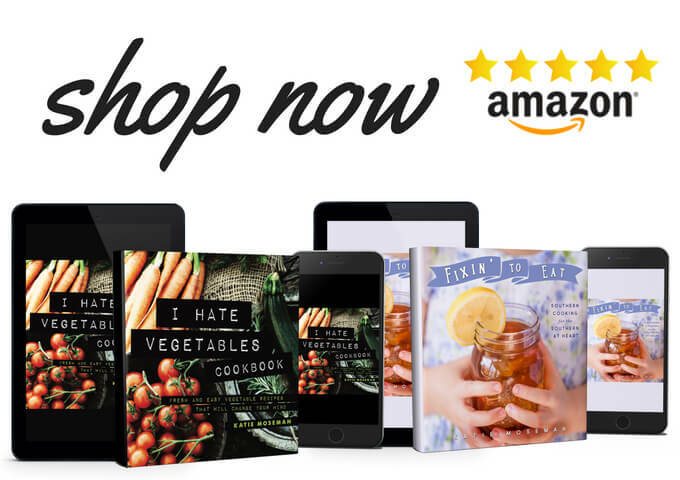 I can’t wait to try it out – thanks so much for sharing! This recipe looks simply amazing. I have made salmon patties before but never a tuna burger. This looks like something my whole family would love and I will be adding this to my menu plan really soon. I never heard of a tuna burger. The tuna burger looks good. I would like to try the recipe for my family. Thanks for your recipe. I love a good burger however, since I’m vegetarian, I only make them with meat for the family. I love making tuna or salmon burgers…the kids sometimes prefer them over the meat burgers! We go through tuna like crazy in my household. 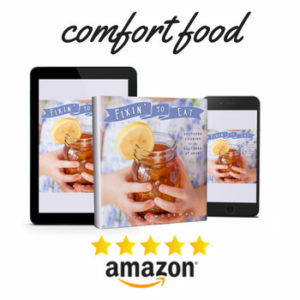 It is the best lunch and simple meal solution for a busy weeknight. We haven’t tried making tuna burgers like this before, so it will be on our menu plan here soon! My kids aren’t big fans of canned tuna, but this burger looks really tasty. I LOVE tuna and think this would be delicious. I especially love how quick and easy it is to make. This looks delicious. I need to make some lunches for some needy families next week and this would be perfect. Oh my gosh, YUM! I’ve never actually had a tuna burger. I can’t believe it! We have tons of tuna right now, it’s going on my menu.